Saying more about the state of reportage than anything else, various media outlets are announcing that Christie's will be auctioning off a poem titled "Little Buddy" submitted to his camp newspaper in 19 and 57 by a 16-year-old Bob Zimmerman. "Bob Dylan's social consciousness and artistry were evident in a poem he penned about a little dog who met a tragic end" gushes the lead for The Washington Post. "It's a very early example of his brilliance," the article quotes a Christie's "pop culture specialist," who goes on to say, "It comes from the mind of a teenager (with) some very interesting thoughts kind of percolating in his brain." Actually, it came from the mind of a teenager whose brain was percolatin' with the music of Hank Snow, the Yodellng Ranger, who released "Little Buddy" as a single in the late `50s '40s (See the "Addendums" below on the recording history of "Little Buddy"). 'twas a picture of sorrow to see. The editor of the camp newspaper apparently kept the handwritten transcription of "Little Buddy" for some 52 years. "Do what you want with it," Dylan reportedly told camp officials, possibly with tongue firmly in cheek, when contacted about it. 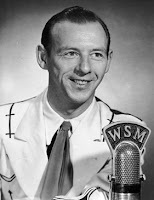 Hank Snow made some 840 commercial recordings between 1936 and 1985, according to his bio on the County Music Hall of Fame web site. Eighty-five of his singles hit the Billboard charts from 1949 to 1980, although apparently not "Little Buddy." Known variously as the "Singing" and "Yodeling" Ranger, Snow seldom used his last name in his early career. During the mid-'40s Snow incorporated a trick riding display into his traveling road show, featuring "Shawnee the Wonder Horse." In a typical show, Snow would ride in on Shawnee, play a couple of tunes on horseback, and then perform some rodeo stunts, including the crowd-pleasing "death drag," and a comedy routine where Shawnee would steal a blanket from a sleeping Snow. By 1948, Snow was in Dallas, Texas, working in a club owned by Jack Ruby, later infamous for becoming the assassin of John F. Kennedy's assassin, Lee Harvey Oswald. In early 1950, Snow made it to the stage of the Grand Ole Opry and was introduced onstage by Hank Williams, Sr., who joked that they should refer to each other as "short and tall" Hank to avoid confusion. Snow's first hit was on RCA, the monster "I’m Moving On" a piece that Snow’s producer had not even wanted him to cut. The song stayed the charts for forty-four weeks through 1950 and 1951. Hank Snow averaged two or three Top Ten hits a year during the `50s and `60s, including "A Fool Such as I” (1952), and “I’ve Been Everywhere” (1962). He was also one of the originators of the country "theme" (you knew we were going to get that in somewhere) concept LP, and one of the earliest champions of Elvis Presley. Snow's 19 and 85 duet album with Willie Nelson was his last recording. It'd be interesting to know how Dylan came across "Little Buddy." Did he have the single (Possibly. See the "addendums" below)? Did he hear Snow perform it on WSM from the stage of the Grand Ole Opry? However he first heard it, it impressed him enough to memorize "Little Buddy." Although not an original Dylan, "Little Buddy" is in his handwriting, and probably still worth something even if not as an example of the young Bob Zimmerman being "way before his time" as one of the articles has it. Maybe what it does show is what Bob Zimmerman was up to that summer in 19 and 57, banging on the piano in the rec. room of Herzl Camp in Webster, Wisconsin, head filled with Hank Snow, on his way to becoming Bob Dylan. A late addendum... The single pictured above was apparently only for radio use. As far as I can determine, "Little Buddy" was only commercially released on one of Hank Snow's first "theme" LPs, "When Tragedy Struck." The album was issued on the RCA label in January of 19 and 59, according to the LP Discography site. and the song was recorded for the album on Apr 17, 1958 at RCA Victor Studio, Nashville in the great state of Tennessee. It's copyrighted "1958" according to the album liner notes. (I'm wrong. See the "Yet Another Addendum" below). This brings up the obvious question about how did Bob Zimmerman provide "Little Buddy" to his camp newspaper in the summer of 19 and 57. Possibly after all these years, memories fade and the players got the date wrong about when Dylan attended the camp. Maybe the LP's liner notes have both the recording and copyright dates wrong, although that's unlikely. But it's more likely that the young Bob Dylan, sponge that he was, heard Snow perform it on the radio, scribbled down the lyrics, and during the summer of 19 and 57 was figuring out how the song was put together. What worked. What didn't. Why one song would tug at your heart and another make you shudder at the saccharine. On his way, as I said, to becoming Bob Dylan. Yet Another Addendum: Thanks to the efforts of "The Chief," (see Comments section) we now know how the young Bob Zimmerman could have transcribed "Little Buddy" in 19 and 57 . 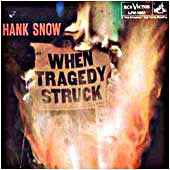 Even though Hank Snow apparently copyrighted the song in 1958, he first recorded it at least a decade earlier, once on the Canadian "Bluebird" label in 1948, and later that year as a U.S. re-issue on RCA. As "The Chief" notes, was Hank Snow's "Little Buddy"/"You Played Love" part of the teenage Bob Zimmerman's record collection in the early `50s? You can add that Snow's manager/booker was Col. Tom Parker before he became Elvis's main man. It might explain Snow's early enthusiasm for Elvis. They also have a link to Snow's singles releases. Looks like Snow released "Little Buddy" at least twice on 78 in 1948 ("Drunkard's Son") which I noted over at ER, too. So looks like he had a deep (or deeper than we thought) collection of 78's as a youngster. I suppose it hardly bears mentioning that Dylan covered Snow's "Fool Such As I" on "Self Portrait"
According to the discography in the Hank Snow box set on Bear Family records, "Little Buddy" was recorded in Montreal in a session beginning December 2, 1947. Originally released on RCA Victor 78 #20-3240, and on 45 #55-3240, and later on RCA or Camden albums CAL 2186 (My Nova Scotia Home) and ADL2-0337 (When Tragedy Struck). 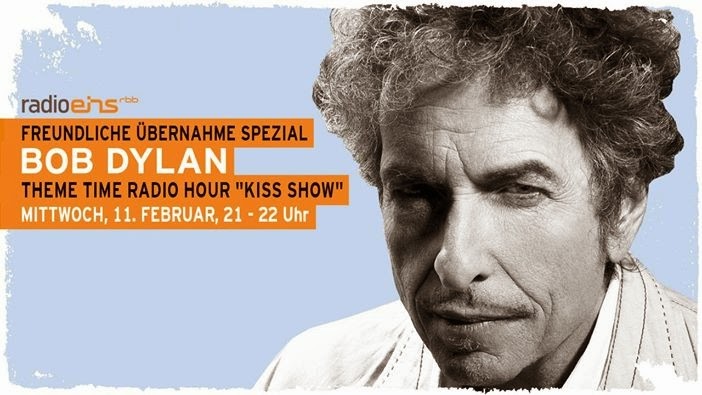 To beat this dead horse, Dylan did both "I Don't Hurt Anymore" (Snow hit 1954) and "A Fool Such as I" (Snow hit 1952/53) in the Basement Tapes recordings.